NightSearcher LED work light and inspection lamps. 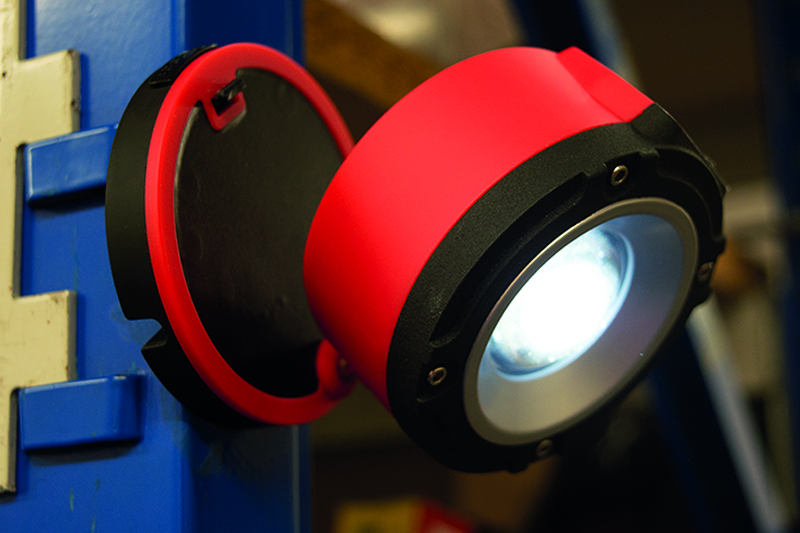 The Micro-1000 is an ultra-compact LED work light that fits into the palm of your hand. The light is protected by robust housing, which can be rotated 360° and has a wide 90° flood beam. The ultra- bright NightSearcher work light emits 1,000 lumens of light output and has a runtime of up to 2.5 hours and is fitted with an integrated hanging hook and strong magnetic base for multi-directional light. It is also supplied with a USB charging cable for a quick recharge. The i-Spector220 separates to recharge through any USB socket. No cable is required. The light emits 220 lumens of light output and has a long runtime of up to five hours and is fitted with an integrated 360° rotate and swivel hanging hook, and two magnets on the base and back for hands-free use. The robust ABS housing is resistant to chemicals and workshop solvents, ensuring it meets the demands of everyday use.